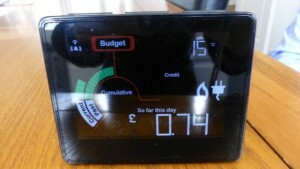 Smart Meters – The saga continues – Could 4m have to be replaced? I have covered this matter quite a number of times on this blog site as the rollout of smart meters has been little more than a farce from day one. There’s nothing particularly new in the Mail story to those of us who have been tracking this saga but it does highlight the utter mess that has potentially been created by industry standard smart meters not being installed from the start of the programme. And that’s putting to one side whether they are needed at all I might add. The way the energy market is set up we all need to be swapping our suppliers each year to ensure we are getting the best deal but with some smart (or is that unsmart) meters swapping suppliers may be far from simple. Persoannly I’m sticking with the old meters for now until this crazy situation is fully resolved. * I don’t recall ever linking one of my blog postings to the Mail before and I do so with more than a few reservations as a progressive politician of the left. Suffice to say I decided that the information in the article outweighed my many political concerns about this newspaper.